In 2019, for International Women's Day, 8 March, we are publishing a magnificent 25 page edition of Seasons focusing on women playwrights in Uruguay. 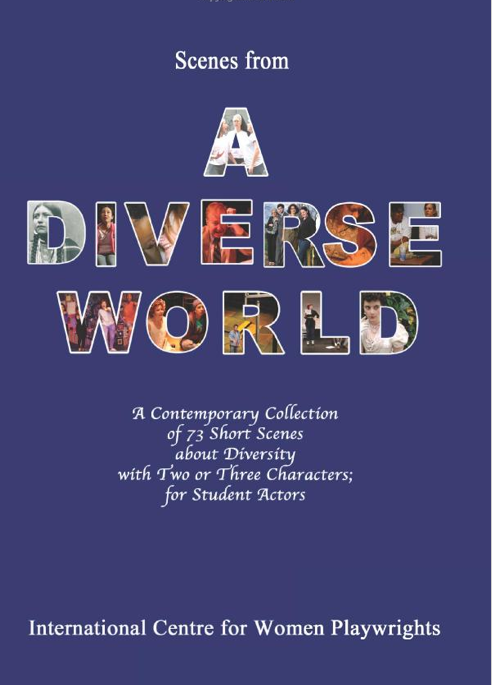 A 600+page international collection of 73 scenes from plays about diversity - stories of under-represented cultural minorities. Extracts for two or three characters. Authored by female playwrights from many countries including Australia,Canada, Croatia, India, Italy, Indonesia, Lithuania, New Zealand, Norway, Russia, Sweden,UK and USA. As a cast member of the original production of "Blindspots" I was delighted to see a scene from Colette Freedman's play included in this collection. Every night this scene got alot of laughs- so actors can be confident this is a strong choice for scenework. Packed full of characters, scenes, roles, and genres for all ages. Playwrights from around the world are represented. A great resource for actors, teachers, and playwrights who want to expand their vision. As an acting teacher, I am constantly challenged to find material that is appropriate for my individual students, as well as being challenging & engaging. My students' work really takes a leap when I am able to off them choices that speak to them. so when I saw this new collection pop up, I had to check it out. It's terrific - the scenes are just the right length, there's an incredible variety of character types, and the writers are wonderfully unafraid. I loved "Trucker Rhapsody" (especially in light of recent events)& "The Last of the Kentucky Glenrow Paper Dolls." Jen Maisel's scene "Mad Love" is terrific for younger actors. And it looks like I'm not the first to mention "Blind Spots" by Colette Freedman, probably because this scene literally jumps off the page. The characters sparkle and the banter is laugh-out-loud funny while being deeply melancholic at the same time. If you want to challenge your comediennes, this is the scene to give them! Female authored monologues for Female and Male actors selected to reflect the variety of cultural experiences from several countries, including Canada, Scotland and USA. 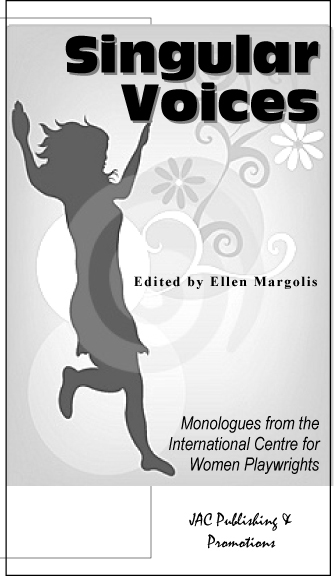 All ages are represented in this monologues collection, providing opportunities for self-exploration and a wide range of acting techniques. A series of four age-related monologues on the theme of mothers and daughtersfrom international female playwrights. These monologues explore experiences of childhood, gender expectations, leaving home, sexual orientation, caring roles, love, joy, resentment, heartbreak, hope, life and death. Proceeds go back to ICWP to support future publishing efforts.